Suzanne (segment "Place des Victoires"
The Boy (segment "Place des Victoires"
The Cowboy (segment "Place des Victoires"
The Father (segment "Place des Victoires"
Female Mime (segment "Tour Eiffel"
Male Mime (segment "Tour Eiffel"
The Vampire (segment "Quartier de la Madeleine"
The Tourist (segment "Quartier de la Madeleine"
Caf� Owner (segment "Quartier Latin"
The Vampire's Victim (segment "Quartier de la Madeleine"
Woman with Little Boy (segment "Tuileries"
Paris, je t'aime is about the plurality of cinema in one mythic location: Paris, the City of Love. Twenty filmmakers will bring their own personal touch, underlining the wide variety of styles, genres, encounters and the various atmospheres and lifestyles that prevail in the neighborhoods of Paris. Each director has been given five minutes of freedom, and we, as producers, carry the responsibility of weaving a single narrative unit out of those twenty moments. The 20 films will not appear in the order of the arrondissements, from one to twenty, but rather, in a pertinent narrative order, initially unknown to the audience. They will be fused together by transitional interstitial sequences, and also via the introduction and epilogue sequences of the feature film. Each transition will begin with the last shot of the previous film and will end with the first shot of the following film, and will have a threefold function: 1) The first is to extend the enchantment and the emotion of the previous segment, 2) The second is to prepare the audience for the surprise of the next segment, and 3) The third is to provide a general, comfortable and cohesive atmosphere to the feature film. The delightful and brief interludes of these transitions will enable the viewer to slide from one world to the next, featuring a recurring and unexpected character. This mysterious character is a witness to the Parisian life and helps create a continuous narration. It appears both in and in-between the films. In addition to the information these transitions will provide about the city and its people, their tone will be intentionally light often referring to famous scenes easily attributed to the history of Paris cinema. Similar specifications will be followed by the composer who will supervise the musical fusion between the films and the transitions as he creates the musical score of Paris, je t'aime. 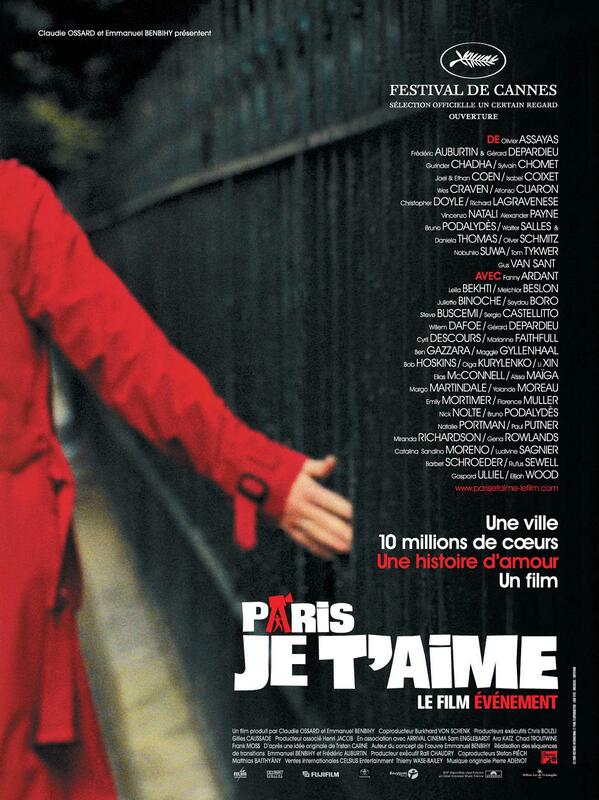 Considering the common theme of Paris and Love, the fusion between the films and the transitions, the fast pace of a fluid and complete storytelling, Paris, je t'aime will not be just another "anthology" picture. It will be a unique collective feature film that will constitute a two-hour cinematographic spectacle whose original structure will make for a dramatically different experience for its global audience. The bizarre and beautiful language of love..., 24 June 2006 Author: (kabenson08@blakeschool.org) from Minneapolis, MN Although I live in Minnesota, I have been studying in France lately and came across this bizarre gem of a film.This movie was amazing, to say the least. 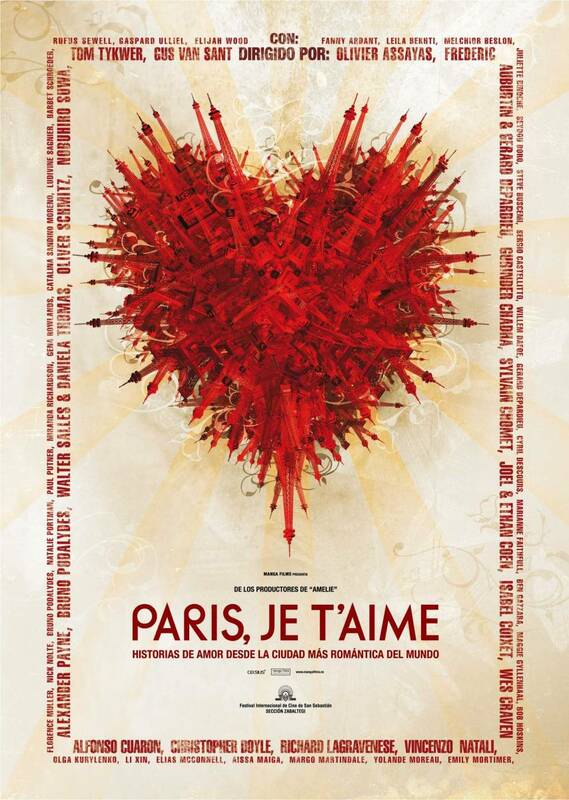 A creative and unique film, the different directors each lent something different to their interpretation of love in the City of Light. The first instinct is to attempt to fit each one of these little stories into an overall storyline, much as can be done with 2003',s Love Actually. This attempt, however, renders the magic of each individual segment obsolete. When taken at face value, with each of the short segments taken as its own individual film, the love stories together tell a beautiful message.The film is strikingly bizarre at times -- often to the point of confusion -- and each individual segment can be hard to follow. Still, to a watcher who pays close attention to each of the segments, the short plot lines become clear after a short time. The confusion is almost intriguing, it keeps you on the edge of your seat waiting for what will come next. It leaves the viewer wondering "Did that really just happen?" yet also leaves them satisfied that it did, indeed, occur. It',s the kind of movie where the viewer, upon leaving the theater, can',t actually decide whether they loved it or they hated it. The initial reaction is to go and watch it again and again, just to see these individual lives blend together into a cinematic masterpiece.The interesting decision to make the movie multilingual adds something to the spectrum of people who can relate. It adds to the reality of the film -- here, the American tourists speak English, the Parisians French, and so on. The number of people that the film encompasses leads to an understanding of the international language of love.From sickness to the supernatural, the love of parents to the love of husbands, this film covers all the bases of romantic storytelling. In its beautiful and quirky way, each unique event somehow falls into place to tell a story: that of all types, sizes, nationalities, and shapes of love.